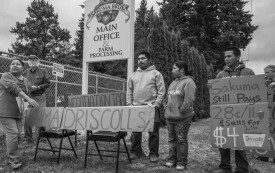 Toxic smoke, destroyed homes, and fears of deportation are hitting immigrant communities all at once across Northern California. 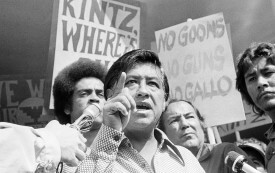 The new film turns decades of organized struggle into the inspiring tale of one man. A new film about the labor leader reduces him to a caricature and ignores his true strengths as an organizer. 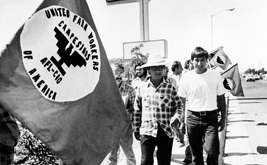 Cesar Chavez and the Farmworkers: What Went Wrong? 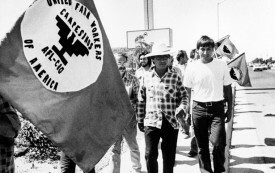 The UFW had two souls—the strike, and the boycott. Cesar, who was always good at symbols, saved his best for last: a simple pine box, fashioned by his brother's hands, carried unceremoniously through the Central Valley town he made famous. 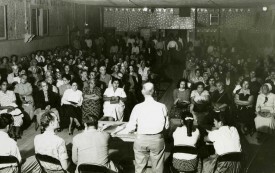 A report on the enormous number of farm workers displaced by the farming machines developed at the University of California.